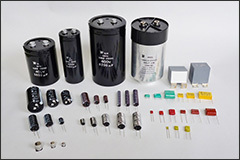 Our Plants in Japan and China can Produce capacitors for customers all over the world, providing the best quality at competitive prices. A quick response is a priority for us and one of the strengths of our service. Additionally we also commercialize and distribute color & monochromatic LCD modules.